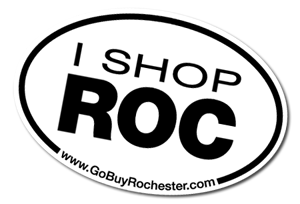 What if there were a website–a 1 stop shop–where you could browse & purchase all of your hometown Rochester favs with just 1 shopping cart? …Look no further. We have 1. From all 11 of your surrounding Rochester counties. This hidden gem is so exciting, it makes me want to GoBuyRochester. GoBuyRochester, an equaTEK initiative, is a consortium of businesses from 11 surrounding counties including Monroe County. Part of the allure is ordering your favorite far-aways with all of the convenience and none of the fuss. Growing up, nothing felt warmer and more secure than the smell of Monk’s Bread Raisin with Cinnamon toast, crisping away in the oven. When shoppers, near & afar, crave these same Rochester tastes, GBR brings them to our fingertips. GBR even allows for Mix-and-Max Monk’s Bread packages which send deliciously as gifts. Simply order online at GoBuyRochester, and they ship & deliver right to your doorstep or the doorstep of your lucky recipient. What a lovely convenience to treat any homesick blues. The convenient website is also incredibly friendly to navigate. It’s no wonder GBR is a 2013 Best of the Web Awards Finalist. Take the Shop Counties tab. Through a simple series of interactive clicks, GBR allows users the ease of viewing participating companies as well as learning more about our surrounding counties. GBR introduces us to our Local products as well as our neighboring communities. For a full list of Rochester Business Journal finalists in 2013 Best of the Web Awards held March 14, 2013, visit their page. RBJ 2013 Best of the Web Award Finalist. Not only is GBR committed to quality convenience, but their business model, to improving the quality of our local economy. Under the About Tab, you’ll notice that every dollar spent with a locally-owned merchant has three times the impact of a dollar spent at a big box store. The link on GBR‘s site (copied/pasted above) reveals a flow-chart titled The Local Multiplier Effect. This shows the impact of keeping money closer to where you spend it. In short, about 3 times as much money stays local when you spend it local. 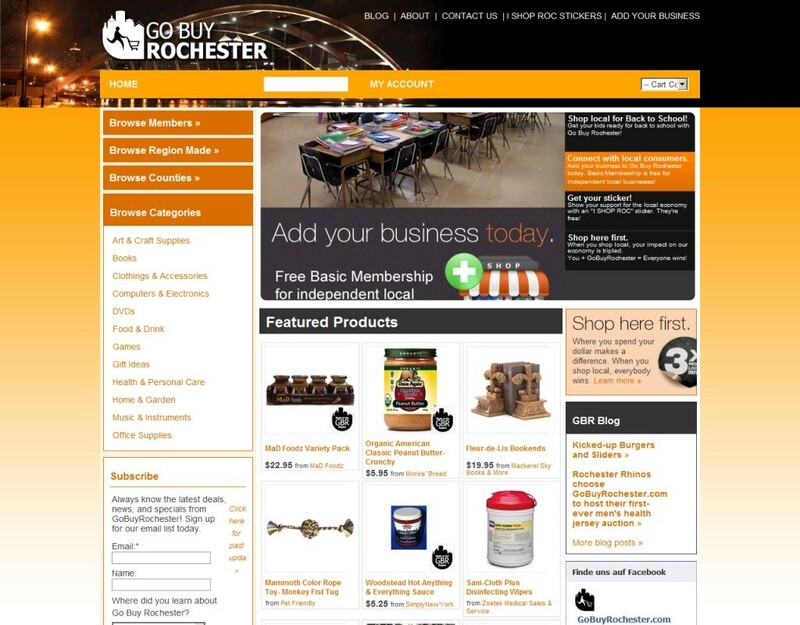 GoBuyRochester is not just a website. It is a community working to strengthen the backbone of small business and its relationship with our local communities. As GoBuyRochester continues to thrive, we, Rochester, NY, will thrive. I encourage all consumers to Shop Local. Shop GBR. I encourage all small business owners to Be GBR. Online Community of Local Businesses. « Shop Local. Eat Local. Dolce Cupcakery.